PALO ALTO, CA--(Marketwired - Dec 6, 2016) - Geminare, a leader in the IT Resiliency Orchestration and Automation (ITRO) market for DRaaS Service Providers announced today that its Resiliency Management Platform (RMP) has been named a winner of TMC's 2016 Cloud Computing Backup and Disaster Recovery Award. The Resiliency Management Platform (RMP) is one of the most mature ITRO Cloud Management Platforms focused on addressing DR and related DRaaS technologies through a vendor- and technology-neutral approach. This allows for the broadest range of technologies to be simultaneously leveraged at enterprise sites and through Service Providers. This uniquely innovative approach creates the ideal Cloud Platform for Service Providers to successfully engage in Hybrid Cloud and DRaaS deployments among their customers. At the same time, the RMP creates feature-rich process automation and sophisticated orchestration capabilities that can be leveraged by multiple teams from operations through to end customers via a multi-patented Cloud Platform. 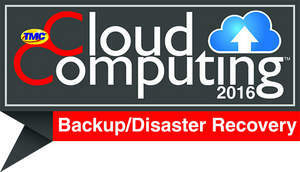 "Recognizing excellence in the advancement of cloud computing technologies, TMC is proud to announce Geminare's Resiliency Management Platform as a recipient of the Cloud Computing Backup and Disaster Recovery Award," said Rich Tehrani, CEO, TMC. "Geminare is being honored for their achievement in bringing innovation to the market, while leveraging the latest technology trends." "With DRaaS deployments now considered mainstream, Service Providers need more advanced and specialized software tools and platforms to effectively enable hybrid deployment models," stated Joshua Geist, Geminare's CEO. "We are very excited to be able to successfully utilize our vast in-market experience and IP to deliver and support the award winning RMP among Service Providers and within enterprise customer deployments in North America and around the world." Cloud Computing magazine is the industry's definitive source for all things cloud -- from public, community, hybrid and private cloud to security and business continuity, and everything in between. This quarterly magazine published by TMC assesses the most important developments in cloud computing not only as they relate to IT, but to the business landscape as a whole.